By signing in you agree to the Terms of Service. Forgot password? A server error has occurred - Please try again. Email and password do not match - Please try again. Upgrade to download and export mockups. Get the chrome app... Fluid UI available in Chrome web store. Grab the app... Download the Fluid Player app for Android. Watch the videos... Watch short tutorial videos to get started. Android and iOS design patterns...for a little inspiration. 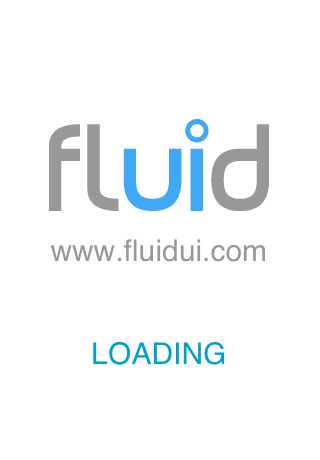 Fluid UI available in Chrome web store. Sorry, we&apos;re just too little to support this browser at this time but we will as soon as we can. In the meantime, you can try Fluid UI with another browser. To create a symbol, select any number of widgets on a page and click SAVE SELECTION. Widgets will be saved here for use in other projects. To delete a symbol, drag it to the bin. Note: you will be asked to upgrade first. Please choose a device type. work together in real time on your designs. Need more than 5 users? Contact us. uploads, libraries, collaboration and live video calling! 30-day money-back guarantee that starts after your first payment. We recently had difficulty billing your Fluid UI account. Please update or re-enter your credit card details to continue. Cancel my paid account and prevent all future billing. I understand my account will remain active until the end of the next billing period and then return to a free account. After that, if I do not use it during the next 12 months, the account will be deleted. Enter your email to get a link to reset your password. Are you sure about this? Your account will be condemned to the bad place, never to return. All your projects and data will be deleted. Reviewers can preview, comment and join video presentations. These features can be enabled/disabled in the preview panel. Collaborators can work in real time with you on your projects. Manage your teammates here. Send a complete copy of the project to another user. Choose Solo if you are exploring an idea for a future product. Solo includes all libraries, unlimited uploads, reviewing and on device testing with the player app. Choose Pro if you regularly make prototypes for sharing. Pro lets you export and print your projects, plus reviewers have the option of adding comments. Choose Team if you want to collaborate on projects together in real time. Team gives unlimited access to every feature for your entire team with just a single licence. A reviewer is someone you have shared your unique project link with. They can’t edit the project, but they can review and give feedback. All paid accounts have unlimited reviewers. Active projects are projects that can be edited and shared. You can also archive projects on any paid account. These do not count against your project limit. Archived projects can be restored at any time if you are below your project limit. Which accounts allow me to collaborate with other people? To collaborate with others in real time when creating a prototype, you need a team account. Unlimited commenting is available to pro and team accounts. Unlimited access to video calling, chat and the clickthrough previews are available on all paid account types. Can I change to a plan with more features in future? No problem. Just upgrade your account to the type you want and we will refund any difference due within 24 hours. We regret we are unable to provide a discount for individual students. Do you offer licences for more than 5 people? We offer team licences for 10, 20 or larger accounts depending on your needs. Please contact support for more information. Can I pay by PayPal or direct transfer? We can issue a PayPal or PO for annual licences. Please contact support for more information. Can I use the exported html for development? We do not recommend the exported html for production use. To view a prototype on a mobile device, use the player app or install it to your home screen (see the guide for more information). To view a web prototype, copy and share the link available in the preview section. All transactions on this site use 256-bit encryption. We do not store credit card details on our servers. They are stored securely by Realex Payments Ltd in a secure digital vault. Please confirm by clicking on the checkbox before proceeding. Your account is now upgraded. A confirmation email will be sent and your receipts can be downloaded from your account settings. Despite our best efforts to support Safari, it has increasingly fallen behind in its duty to web standards, making it more and more time consuming and painful for us to support it with our small team. We will no longer fix any Safari specific issues other than those in the preview. If you really want to, you can continue to use it (it will mostly work) by clicking here. Can not create account. An account with this email address may already exist. Sign in failed. Please check your email and password and try again. Do you want to edit this page? To start a video call, click the video call button. To chat, click "Type a message" below. Navigate between pages by clicking on widgets that have links. Install the iOS or Android app and scan this code to preview on your mobile. Create your own web and mobile prototypes in minutes. 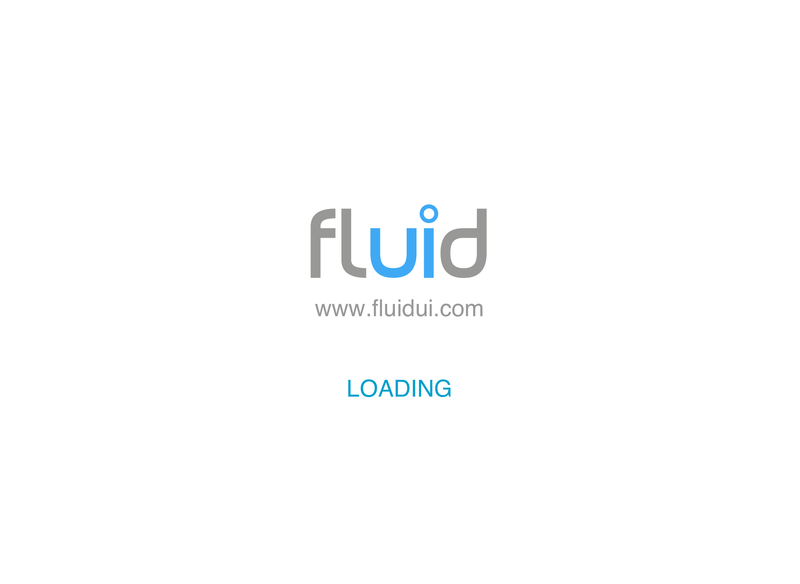 Sign up below for Fluid UI.